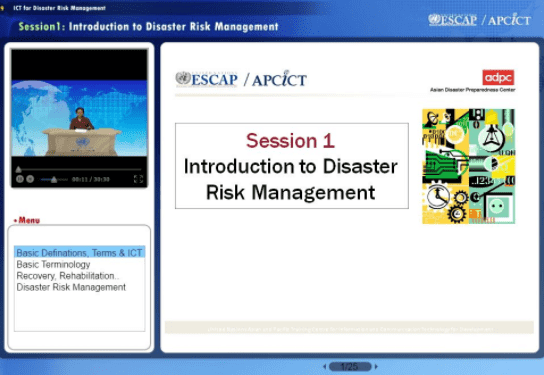 The module is designed to promote a framework for matching available technology with disaster risk management processes, and to provide examples of a range of ICT applications already implemented in different places in Asia. These examples will be presented as case studies on ICT for disaster mitigation, disaster preparedness, response and relief, and recovery and reconstruction. DRR will also be presented as the over-arching approach in disaster risk management, that informs the process with the nature and location of risk. The key message of the module is that disaster risk management has information needs that can be provided faster or more effectively by specific technology. Understand ICT needs in Disaster Risk Management. Discuss the usefulness of ICT applications for DRM.